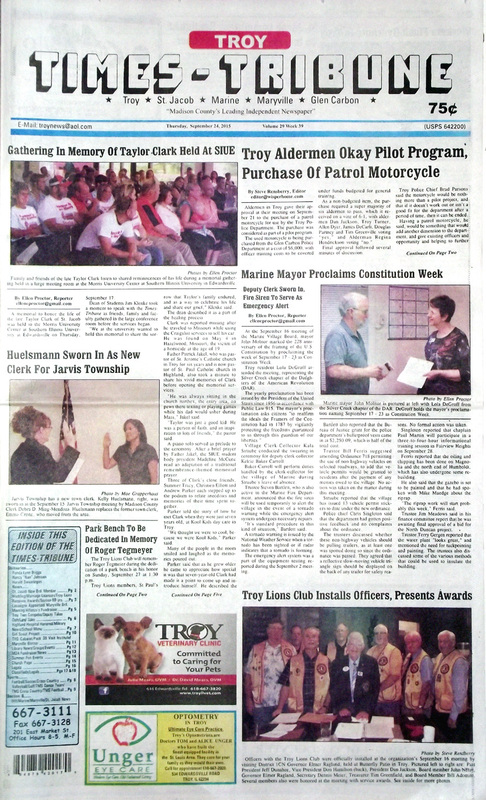 The September 24, 2015 issue of the Troy Times-Tribune is now available. 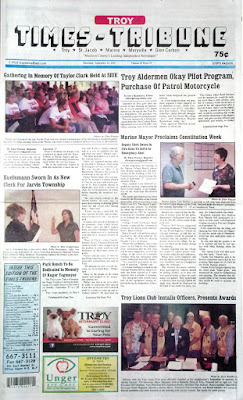 Some of the headlines in this issue: Troy Aldermen Okay Pilot Program and Purchase of Motorcycle, Marine Mayor Proclaims Constitution Week, Huelsmann Sworn In As New Clerk For Jarvis Township, Troy Lions Club Installs Officers, St. Jacob Committees Realigned to Include New Board Member, Lasseigne Appointed to Serve On Troy Planning Commission, Circle K Store Plan Get Approval from Maryville, Knights Swamp Waterloo 35-14 in MVC Opener; plus we have a full page of photos on the final Troy Family Summer of Fun event for the season, an editor's column about book hoarding, and lots more! 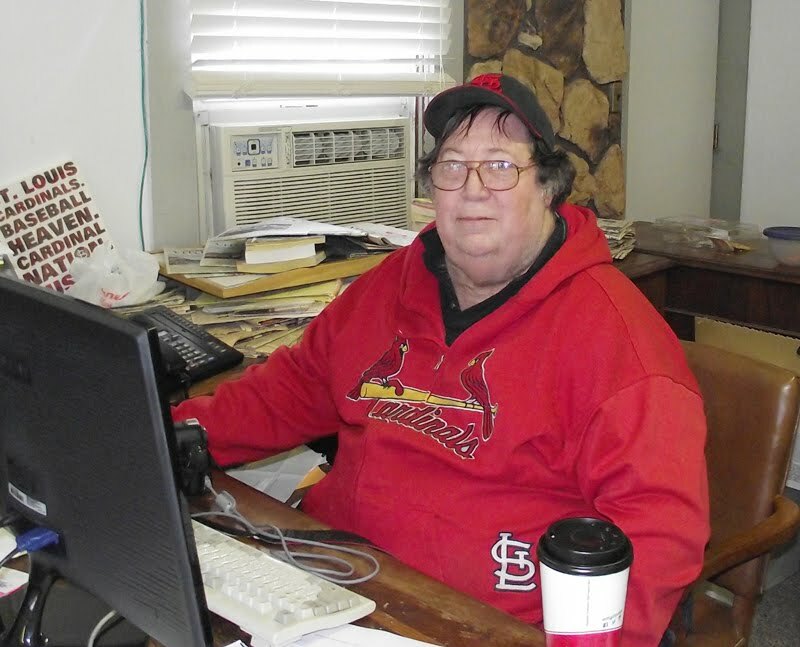 This edition has obituaries for Randa Lynn Briggs, Nancy “Nan” Johnsen, and Harold Swearingen.